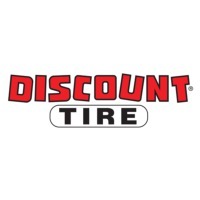 I want to take a moment and show my appreciation for the people at Discount Tire. This morning I got a low-tire pressure indicator on my car. Since I was on my way to work I checked things manually and didn’t notice anything wrong and drove to work anyway. While on the way to work the indicator went-off. Still a little concerned, I checked my tire pressure before I left work this afternoon. I discovered that, despite having my tires rotated and balanced last week, the pressure was low on all my tires, but not one of them was particularly low- which I would expect if something was wrong with one of them. Whew! The indicator might have just been noticing that the weather was a little cold this morning. I stopped for dinner on the way home and, when I returned to my car, I noticed something silver on one of the tires. Crap! A nail was in my tire after-all. By this time it’s about 5:30 and I’m sure that no one will be open or be able to take care of me. I think about the new Discount Tire store near my work in Fort Mill and decide to stop by. Maybe they can at least inflate the tire a little so I can get home and get it repaired tomorrow. I’m not really expecting much. When I arrived the parking lot was empty. Someone came out to greet me in the parking lot. At first I thought they were trying to just hurry me up so they could go home, but no: this was just good customer service. I told him what happened and asked if I would need to come back tomorrow. He assured me that they could take care of it right now. Really? Great! I sat in the waiting room with my copy of Wired and pretty quickly someone came back to me and said they were able to remove the nail and fix the flat. Not only that but they noticed all my tires were a little low and they fixed those as well. Wow! That is awesome and they are getting my business the next time I need tires. I hope they get yours as well. Here’s the clincher. One of my big fears was the expensive tires on my car. When I bought my car my Dad cautioned me that the tires would be really expensive when they needed to be replaced. When I arrived I already was thinking that they would insist that I need to buy a new tire. They could have very easily upsold me to a new, expensive tire (and maybe two, just to even things out). They didn’t take advantage of me (like other tire shops have tried to in the past). This just confirmed that I will definitely be buying my tires from Discount Tire when the time is right.